The Hinge Research Institute reported that 64% of technology firms struggle to attract new business. Which is why we’ve curated MSP lead generation tactics to create a holistic approach including email marketing, content creation, and social media that can all work in tandem to increase your qualified leads. Trust is one of the most valuable assets in MSP marketing because of the complexity of your services. Through open and honest communication, proven through the educational style of your content, your potential leads will grow to trust you. Our content marketing experts strategize and create engaging, informative MSP marketing materials that educate your potential clients on your services and solutions. Not everyone understands the complexity of their network architecture, but if you’re the managed service provider that’s helping to educate them on the intricacies of your service offerings, they are more likely to trust you. Trust means very little, however, if you don’t have the website traffic to bring in new leads. If you’re only receiving 200 visitors a month and converting at 1%, you’re only actually receiving two leads per month. However, leads don’t mean sales. If you’re converting at a 6:1 ratio, that means that you’re only seeing four sales a year. Our MSP lead generation engine is geared at increasing your traffic, targeting your buyers, and keeping your brand top-of-mind so that your potential leads continue coming back. 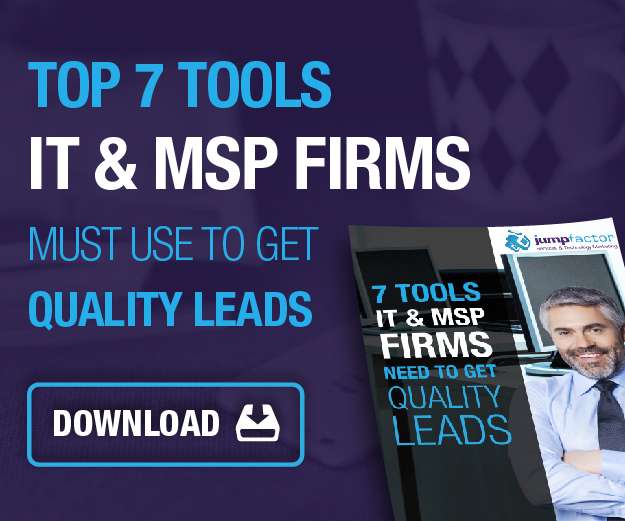 Through our customized and carefully cultivated MSP inbound marketing tools, Jumpfactor can rev up your business by bypassing traditional growth to ensure that you’re bringing in MSP leads that are qualified and ready to buy. Check out our napkin math of lead generation blog for a more detailed overview of how you can Utilize Your Website to Attract More IT leads and More Sales. 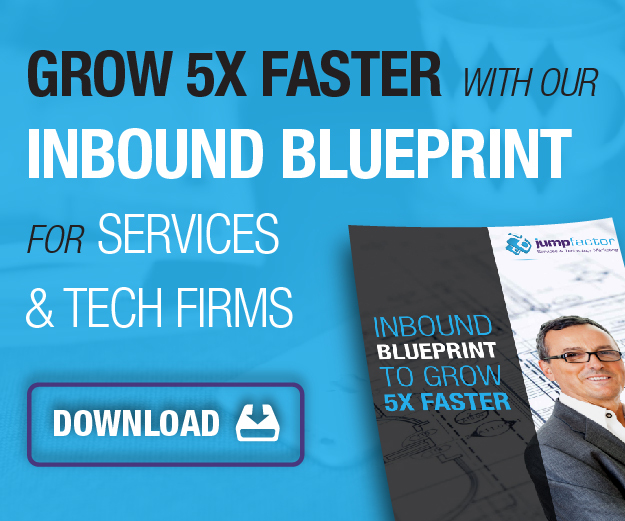 Grow your business with specialized Inbound Marketing for Services & Tech firms. Leverage the power of domain knowledge and digital expertize.